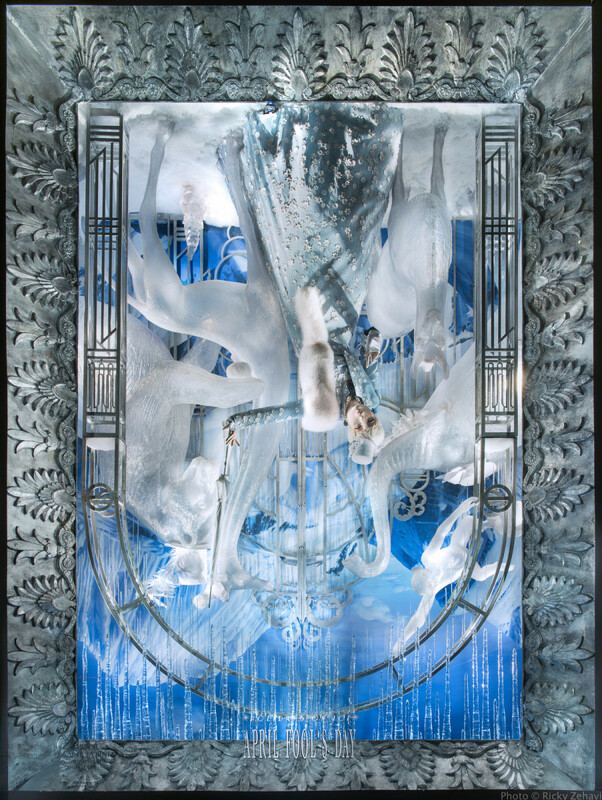 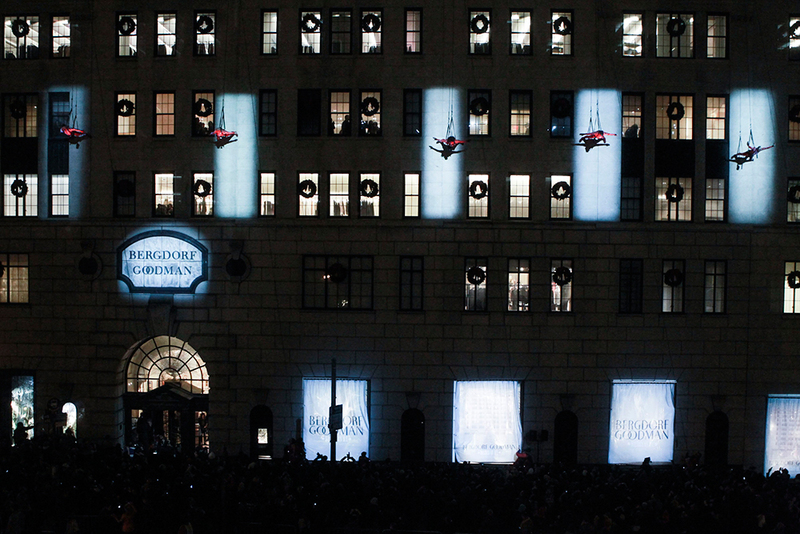 Bergdorf Goodman revealed their Holiday windows of 2013 with the theme “Holidays on Ice”. 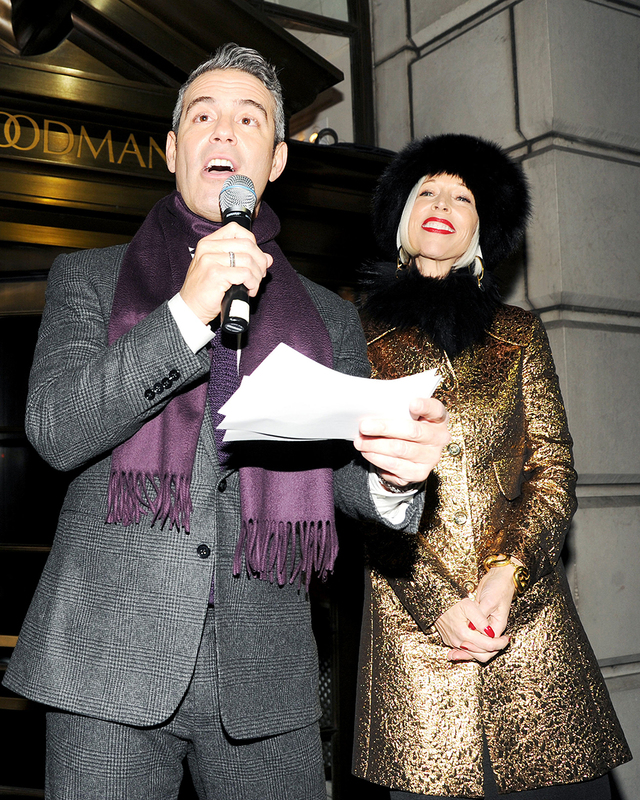 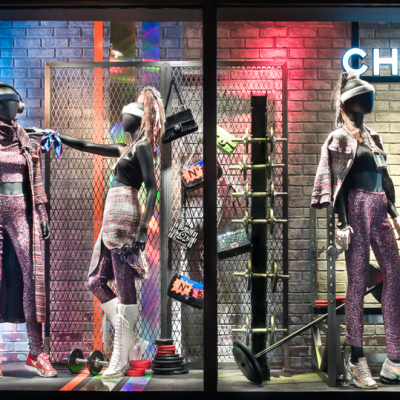 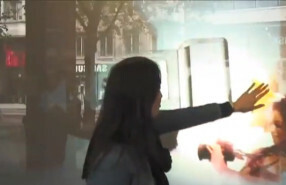 The windows are unveiled by Andy Cohen (Television host), Linda Fargo (Senior Vice President of Women’s Fashion Office and Store Presentation) and STREB Extreme Action Company. 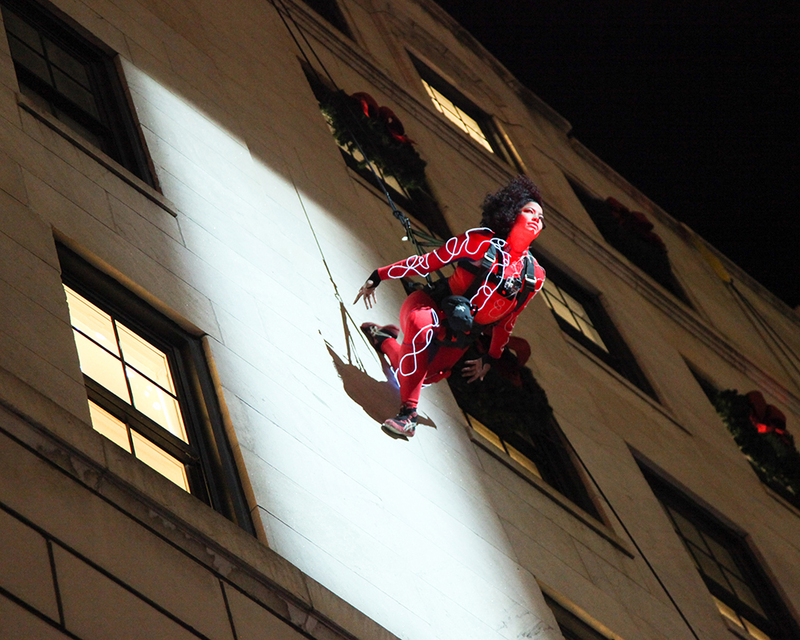 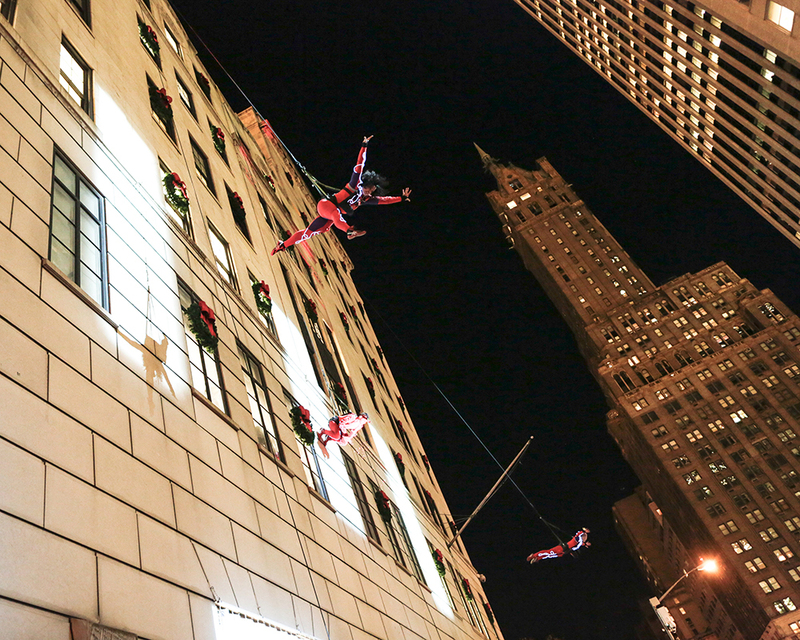 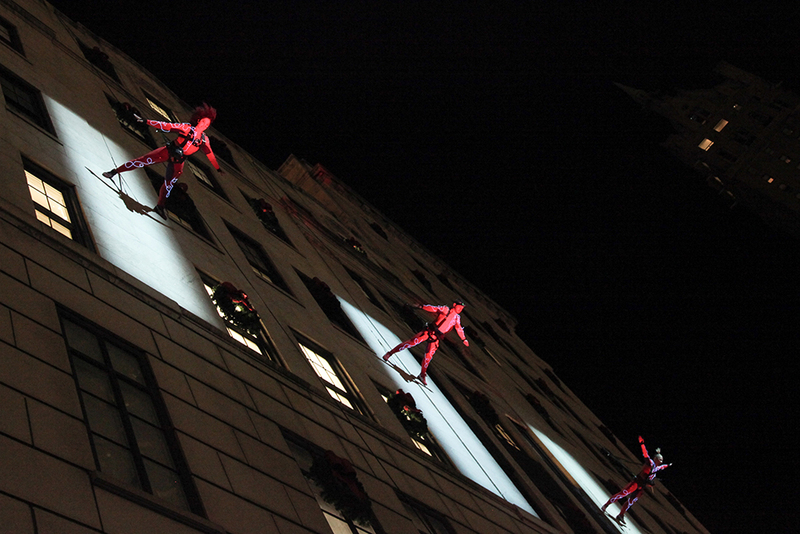 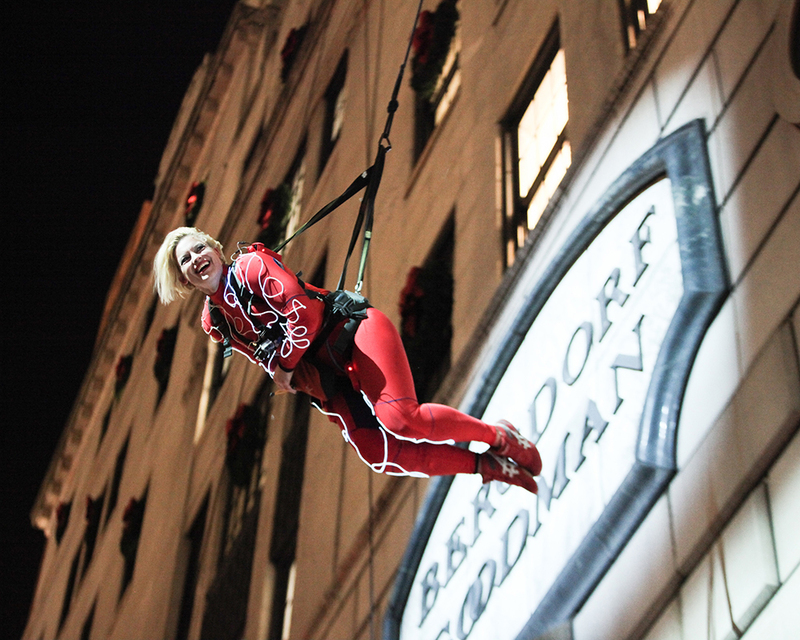 STREB performers came down with action movements from the fourth floor to pull back the curtains to reveal the Holidays on Ice windows. 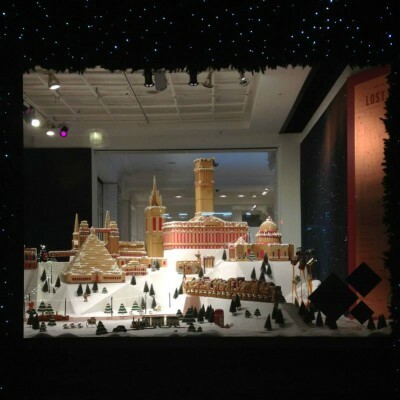 Each window displays a different Holiday. 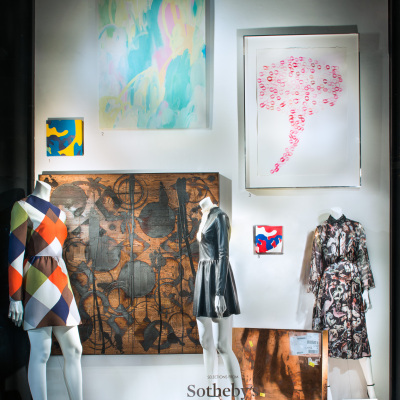 The Arbor Day window. 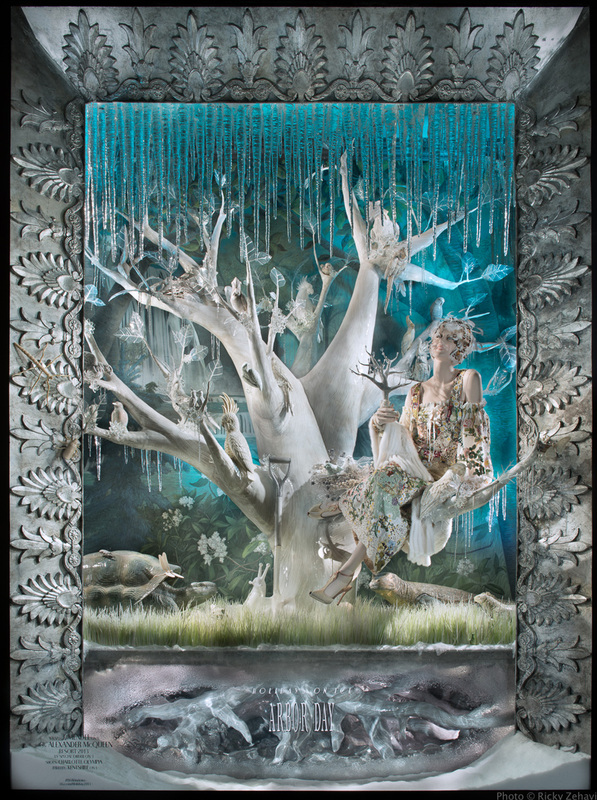 The mannequin is dressed in Alexander McQueen Resort, sitting in a tree with crystal leaves and flowers. 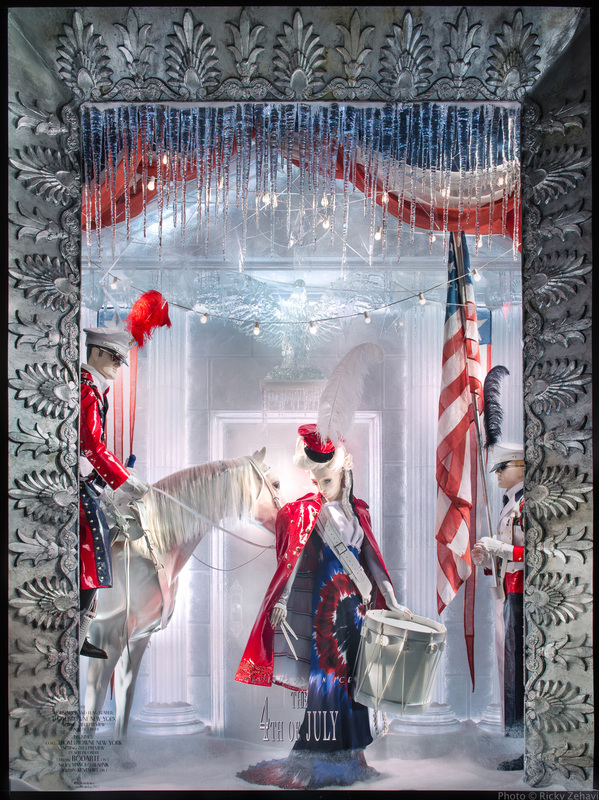 The Fourth of July window. 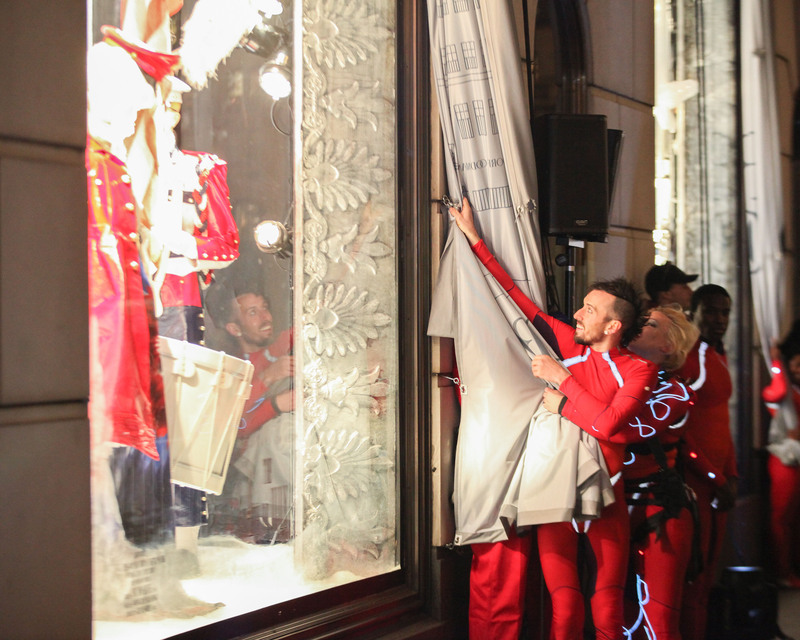 The female mannequin is wearing a dress of Rodarte on the drums and the male mannquins in Thom Browne New York. 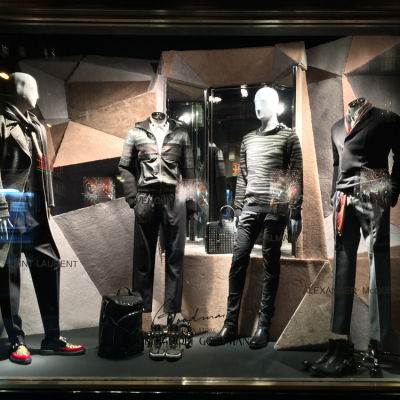 The April Fool’s Day window. 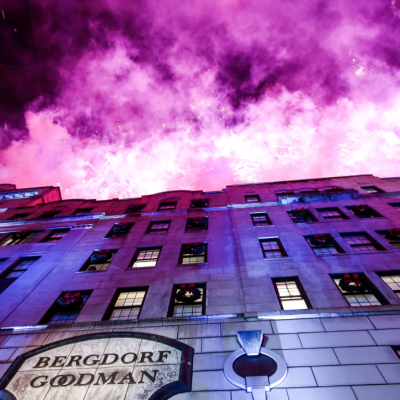 Bergdorf Goodman is fooling passers-by with an upside-down garden party window display for the April Fool’s Day window, where the mannequin is dressed in an Oscar de la Renta gown. 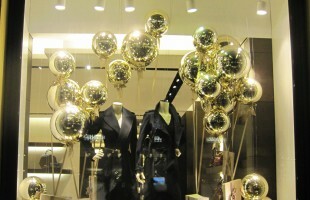 The Valentine’s Day window. 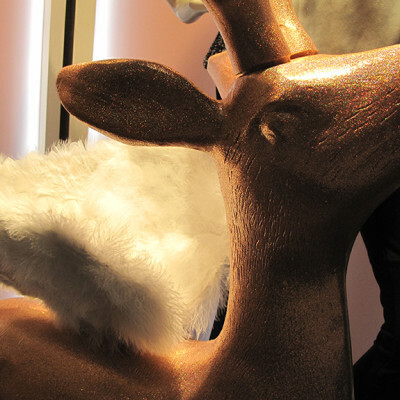 The mannequin is dressed in Giambattista Valli Couture and Oscar de la Renta-clad sits at an ice-carved desk. 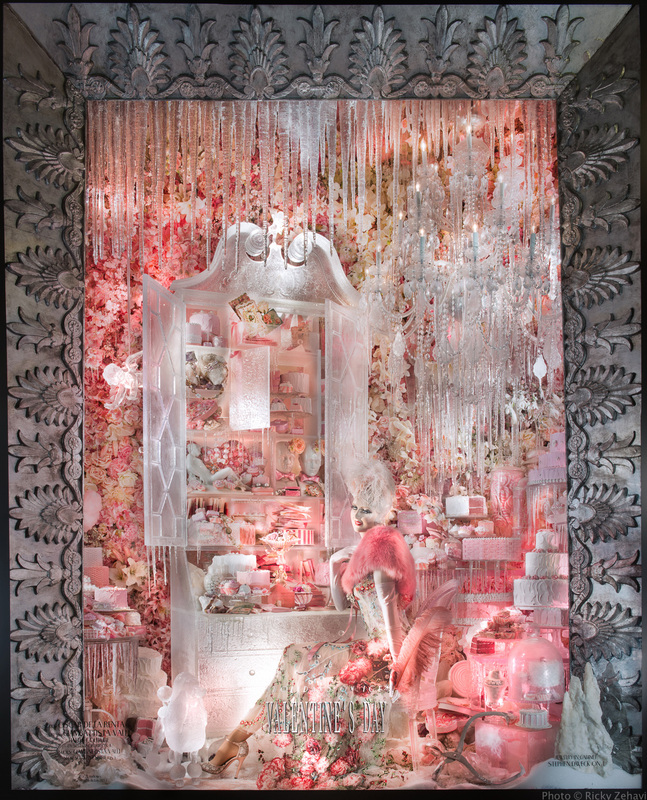 Surrounded by pink colored Valentine presents, like sweets, roses and jewelry. 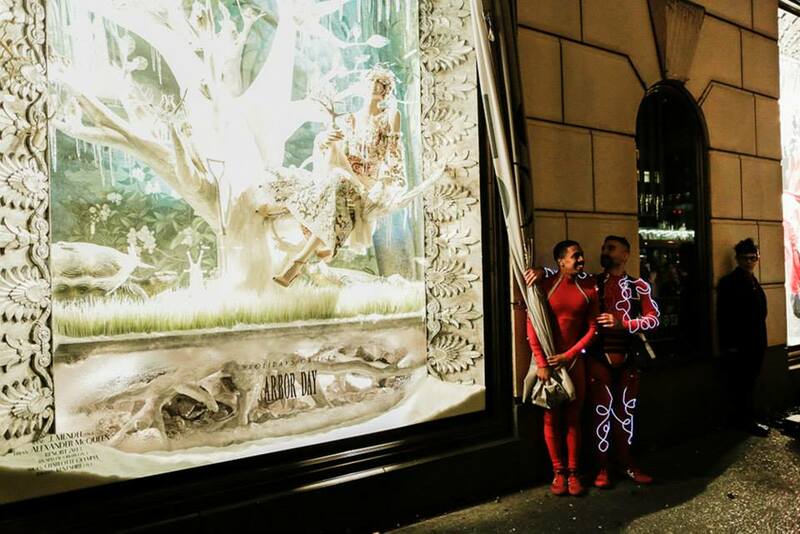 The Halloween window. 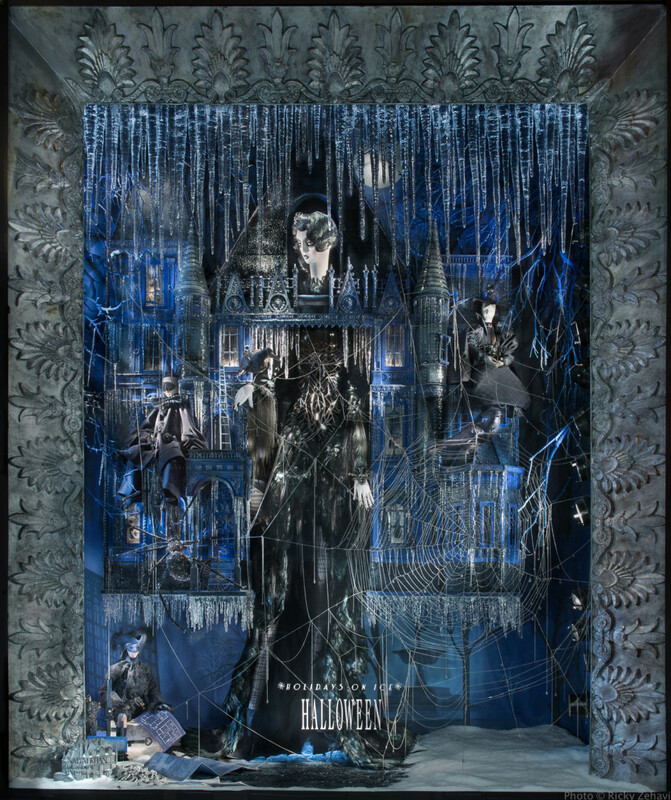 The mannequin is dressed in an onyx plumed evening gown by Naeem Khan, standing behind a Swarovski crystal-flecked spider web and haunted mansion of black ice.